Home » General Health » Medicinal Marijuana and Pain Relief: Where do YOU Draw the Line? I’ve always believed that if something works for you, then by all means, stick with it. For example, I personally don’t follow a strict vegetarian diet, but if it works for my friends—and if they are at a healthy weight—who am I to say anything about it? The same goes for medicinal marijuana or cannabis oil. I don’t smoke, but I’m also not living with chronic pain. I know some advocates who tout the healing power of medicinal marijuana…and if I have to be totally honest, the data is on their side. 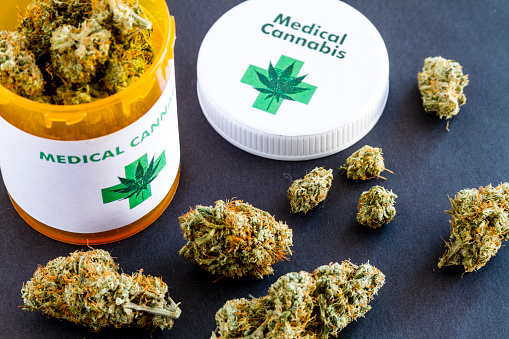 The results of a major national study explaining the health impacts of medical marijuana used to treat chronic pain were published earlier this week. The benchmark study suggests that individuals who use medicinal marijuana to treat chronic pain experience no additional adverse health effects compared to a control group. They were also in a better mood and reported a higher quality of life. The marijuana for the study was supplied by the hospital and tracked 215 individuals in cities across Canada for one year. They followed an additional 216 patients who weren’t using medicinal marijuana as controls. Every participant involved suffered chronic pain from cancer. After undergoing tests for lung and cognitive function, pain, mood, blood profile, quality of life, liver function, kidney function, and hormone levels, researchers noted people who used medicinal marijuana to treat pain experienced no more severe adverse effects than those who didn’t use it. Furthermore, those who did use medicinal marijuana showed significant improvements in pain, symptom distress, mood, and quality of life. They also displayed no cognitive impairment, which is commonly associated with marijuana use. Now, I’m not going to encourage you to do something illegal—nobody wins that way. But the facts are the facts. In the last couple of years, the legalization of marijuana has been a hot-button issue, with more and more states recognizing its benefits as a health product. If it’s legal in your state and you’re suffering from chronic pain, talk to your doctor about treatment options. In the study outlined above, patients ingested 2.5 grams of marijuana per day. For inexperienced users, this dosage might be a little high, so it’s best to try a smaller dose to acclimate yourself. For the medical marijuana used in the study, the tetrahydrocannabinol (THC) content, a chemical responsible for most of marijuana’s psychological effects, was 12.5%. I get it if this is something you don’t want to try. There is a long-held negative stigma around marijuana—and quite frankly, I don’t touch the stuff. But like I said, I don’t wake up every day with debilitating pain and if it helps improve the quality of life for those who do, it’s my duty to ensure you know your options. Ware, M.A., “Cannabis for the Management of Pain: Assessment of Safety Study (COMPASS),” The Journal of Pain, doi: 10.1016/j.jpain.2015.07.014. McGill University Health Centre, “Multicenter study examines safety of medical cannabis in treatment of chronic pain,” ScienceDaily web site, September 29, 2015; http://www.sciencedaily.com/releases/2015/09/150929112036.htm.